Hell basically froze over this season on Real Housewives of Atlanta when Kenya Moore and Phaedra Parks put an end to their years of feuding and throwing shade. They actually got along for more than one episode and Kenya even helped Phaedra with her summer camp for kids affected by the Flint water crisis. After Phaedra’s reaction and mean text to Kenya throwing her a divorce party, it seems like their peace was short-lived. Kenya confirmed that she is done with Phaedra during her most recent appearance on Watch What Happens Live. And while she was at it, Kenya threw some shade at Porsha Williams and Sheree Whitfield as per usual. Of course Kenya addressed Phaedra’s discomfort with the divorce party. Kenya admitted, “I think everyone was surprised by her reaction. If she wasn’t comfortable with it, that’s okay with me, but she should have just taken me aside and said ‘I’m just not ready for this right now’ and I think we would have been okay.” That would have been a way better move than pretending to look for ginger ale and peacing out with no explanation. Kenya continued, “But to call me names and be nasty, take digs, and try to resurrect something from two years ago that we resolved is completely duplicitous of her. That’s my issue with her.” Apparently Phaedra forgot her promise to stop referring to Kenya as a “whore” and other similar descriptors. Thankfully, the people who edited that last episode made it a point to flashback of the scene when Phaedra promised not to do that anymore. Shade thrown from the editing room. Andy asked what Kenya thought of Porsha’s “boyfriend” Todd Stewart and Kenya just said, “Who?” Honestly, I get her answer on that though. I keep forgetting that Todd2 was on that Hawaii trip. Speaking of “boyfriends,” they played a clip of Kenya and her ex Matt Jordan arguing in next week’s episode and I was surprised that she wasn’t immediately asked about their relationship status. Andy asked Tyson Beckford what kind of drugs he thinks Chris Brown is on and Kenya shared her opinion by saying, “The same ones Matt’s on.” And that pretty much opened the door for Andy to ask about Matt. The episode wasn’t all about Kenya reading her enemies. She also talked about the cast reunion. She said, “It was epic” and Andy jumped in by claiming, “I know I always say ‘shocking,’ but this one I haven’t gotten over it.” Kenya agreed. I. CANNOT. WAIT. TELL US- DO YOU THINK PORSHA & PHAEDRA HAVE A GENUINE FRIENDSHIP? 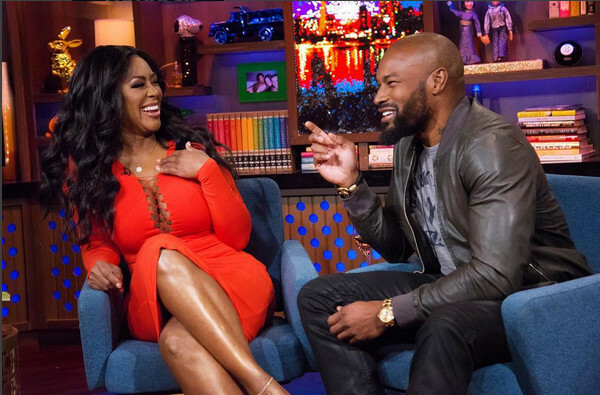 DO YOU AGREE WITH PHAEDRA’S REACTION TO THE DIVORCE PARTY?